The University Grants Commission (UGC) has set up a panel to study a proposal to grant deemed university status to the Indian Institute of Mass Communication (IIMC). New Delhi: The University Grants Commission (UGC) has set up a panel to study a proposal to grant deemed university status to the Indian Institute of Mass Communication (IIMC). The IIMC, one of the prestigious journalism schools in the country which functions under the Ministry of Information and Broadcasting, offers diploma courses in journalism, advertising and public relations. According to a senior HRD Ministry official, the four-member committee, which will analyse the proposal by the IIMC, will be headed by BK Kuthiala, the vice-chancellor of Makhanlal Chaturvedi University, Bhopal. "The other members are Sanjay Wadwalkar, Chairman of Panjab University's School of Communication; G Ravindran - HOD of the University of Madras' School of Journalism and Sunita Siwach from the UGC," the official said. The panel will submit its recommendation after examining the proposal and the UGC will then form another committee which will conduct site visits, the official added. The idea to grant deemed university status to the IIMC is not a new one. The Information and Broadcasting Ministry had also approved the plan last year. "UGC forming a committee to study the idea is an indicator that things are moving steadily. 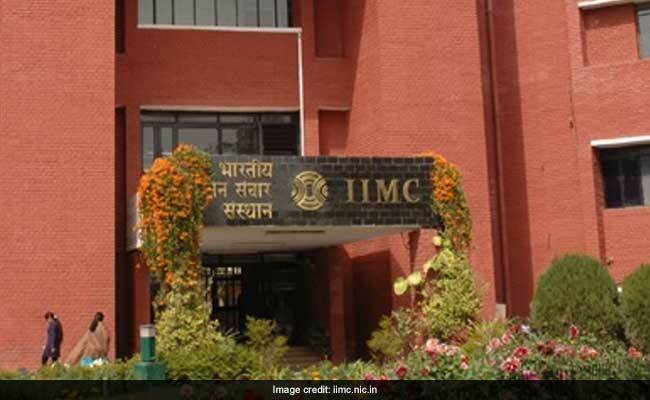 Once the university status is granted, the institution will also expand in the academic sector rather than just being an industry oriented school," IIMC Director General KG Suresh said. The IIMC has expanded from two campuses in Delhi and Dhenkanal to six campuses across the country -- Jammu, Amravati, Kottayam and Aizawl being the new ones -- over the last five years. During a review of higher education institutes by the Niti Aayog in June, it was recommended that the IIMC be merged with either Jawaharlal Nehru University'a Centre for Media Studies or Jamia Millia Islamia's AJK Mass Communication Research Centre. However, the institute as well as the I&B and HRD ministries had rejected the idea.